My first (complete) build since returning from Japan is Amuros Ray’s signature unit. 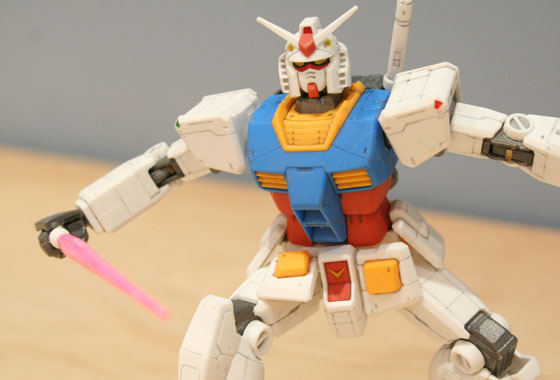 Modelled after the 1/1 Odaiba Gundam it’s an awesome little HG Kit! As this is modelled after a full-size interpretation of the original design, this kit is packed with panel lines, PACKED. And despite only being comprised of two runners you never feel like quality has been compromised. Panel-lining really completes the look. I also spent a bit of time painting grey parts with a gunmetal colour. 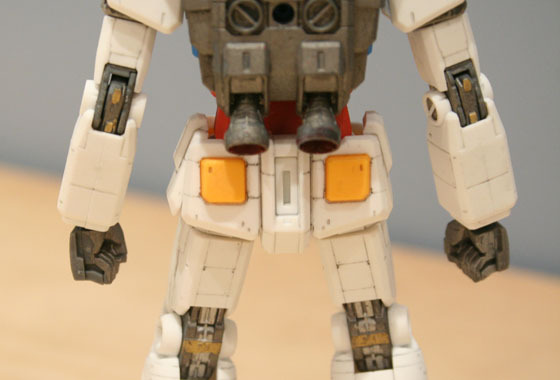 Joints and other exposed mechanics I also detailed with gold and silver Gundam markers to match the colour scheme of the 1/1. All the joints of this kit are really simple, but totally work. Unlike my GM Sniper whose joints are too loose, this kit feels nice and steady, and has more than enough strength in it to support any of it’s arsenal of weapons provided. Posings never a problem either thanks to the simple design of the kit. Aside from the limbs the skirts are articulated to assist leg movement and the body pivots at the waist and just below the shoulders for that extra bit of posability. This thing comes fully loaded! The classic beam rifle and shield, a hyper bazooka, Gundam Hammer and 2 beam saber handles. 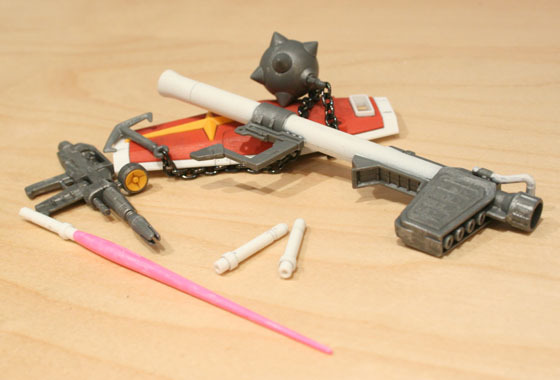 A single piece beam saber handle and blade is included also which needs painting a manly pink colour. 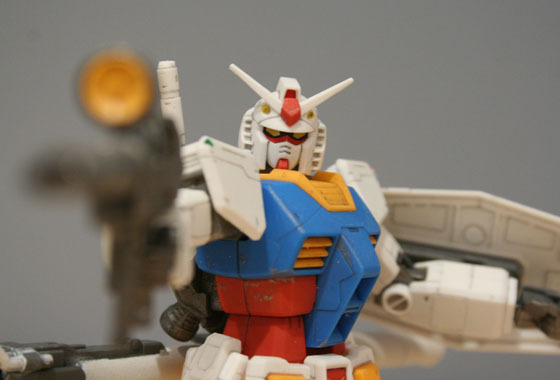 I really like the MG RX-78 Gundam Ver 2.0’s two-tone hyper bazooka so I’ve sprayed mine from this kit to match. Again I gave the gunmetal grey parts a paint and sanding for a distressed look. Love this kit, and it must’ve gone down well as an insanely big 1/48 version is in the works too! I just hope this isn’t the closest I get to the full-size version. 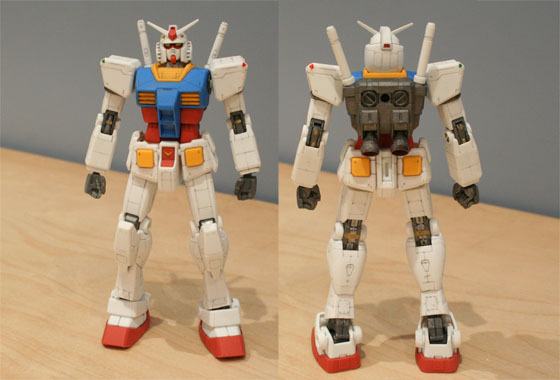 Which RX-78 design do you like best? A few more shots below, enjoy! This is so cool i heard they were making a PG verion of this aswell! !